Take care the next time you order high-quality meat at a lower-than-possible price. With food prices escalating, meat thieves – organized groups who target steaks and high-end cuts at supermarkets for resale to unscrupulous restaurants and markets – are a growing problem. They're also hitting meat lockers, cattle pens and 18-wheelers. The most recent example was in Austin, where in late July police arrested six men in what they dubbed Operation Meat Locker. The sting operation started when managers at H-E-B, a Texas supermarket chain, called police to say that they had stopped a couple of shoplifters who said they were selling the meat they stole to three local restaurants. H-E-B was mostly worried about the safety of the consumers who were ending up eating the meat. "They're watching these guys with this stuff in their pants, and besides being nasty, what's the temperature of the meat?" says Sgt. David Socha, who took part in the investigation. 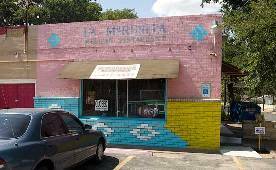 To stop it, officers took fresh meat to more than 28 area restaurants to offer for sale. It wasn't an easy sting to carry out because unlike the thieves, they had to abide by food safety regulations. "The meat had to be kept under 41 degrees, so we didn't have much time to work," Socha says. None of the 25 restaurants chosen at random would touch the meat brought to their back doors and offered at half off, but the three who'd been fingered by the shoplifters "bought it again and again and again," Socha says. It wasn't just staff looking to make money on the side, but management who were involved, "so we knew it wasn't a fluke," he says. 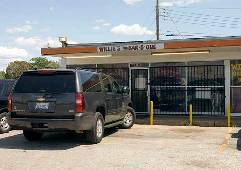 After each restaurant had bought more than $1,500 worth of stolen meat, making it a felony, police moved in and made arrests July 28. This sort of organized retail crime is a common and growing problem, says Joseph LaRocca, who focuses on asset protection for the National Retail Federation. A recent poll by the group found 95% of retailers falling victim to it in 2010, up from 89% in 2009. According to LaRocca, more than two-thirds of members say "these groups are getting more brazen and they're getting hit harder." High-ticket consumable goods that are easily resold "are the most commonly ripped off" and meat falls into that category, along with infant formula, razors and over-the-counter drugs, LaRocca says. Although it doesn't track meat thefts specifically, the federation says annual losses from such organized groups can reach as high as $30 billion. Organized retail crime rings consist of professional shoplifters, called boosters, who take "orders" from fences who buy the pilfered product. "Their entire job is to go out and steal. It seems that they stay within their realm: Meat thieves will steal meat," says Scott Stanley, an officer with the Tacoma, Wash., Police Department. Stanley is also the founder of the Washington State Organized Retail Crime Alliance. In his experience, most of the boosters are drug addicts. Many are even paid in drugs. "They say 'You go out and steal me $150 in tri-tip (roasts), and I'll give you enough crack for a week," he says. The meat gets sold to unscrupulous restaurants or out of the back of a van at swap meets. Sometimes it goes to mom-and-pop convenience stores. "We've gone into a Shell (gas) station and found steaks with the Safeway sticker still on them," Stanley says. Supermarkets have long been aware of the problem, says Jason Moulton, Safeway's Seattle District loss prevention director. "They'll steal shrimp and lobster and high-value cuts of meat," he says. His job has been made somewhat easier recently by new laws smoothing the way for prosecution of organized retail theft. There's also a movement within the grocery world to work together to fight the thieves. "We don't compete in this area," he says. "We share information with other grocers so we get to these guys quicker." Not only are the meat cuts stolen goods, but they're potentially a source of sickness. These meats aren't being refrigerated. A common way for thieves to grab the meat is to shove it down their pants. "They'll rubber-band the bottom of their sweats at the ankle and then they just start shoving it down their pants and they load up their pants leg," Stanley says. "The lack of refrigeration is a serious food safety concern; so is the suspect handling," says Douglas Powell, a professor of food safety at Kansas State University in Manhattan, Kan. "And if restaurant owners are willing to cut corners and buy street meat, what else are they cutting corners on in the back kitchen? It doesn't inspire confidence." The organizations aren't all small-scale. Thieves made off with $11,000 worth of meat from Sedlacek's Wholesale Meat Co. in Melbourne, Iowa, in February. Owner Barry Sedlacek came in one morning to find his cooler door open and 2,500 pounds of top-quality meat missing. Though he had security, Sedlacek says, he has come to realize how much meat is a target. "Now we've got cameras on, we've got new locks, steel mesh over the windows. People go by and they say it looks like Fort Knox," he says. Texas has had between 700 and 800 cattle rustling cases this year, says Larry Gray, law enforcement officer for the Texas and Southwestern Cattle Raisers Association in Fort Worth. "There's been an uptick in cattle thefts, first because of the economy and also because cattle prices are so high," he says. An 800-pound steer is worth about $880 right now, he says. Thieves will pull up to a feeding pen, load up their truck and "be out of there in 10, 15 minutes," Gray says. They sell them at livestock auctions for quick cash. The thieves aren't novices when it comes to cattle, Gray says. They're people who have worked in the industry and know how to load and market big, dangerous animals. "We don't find many city boys who decided to steal some cattle." The market is big. Sometimes it's 41,350 pounds of ground beef out of an 18-wheeler. That's what police in Geneva, Ala., discovered when they checked out an empty tractor-trailer parked in town on Feb. 1 and traced it to a $95,000 load of ground beef that had been stolen from a Louisiana truck stop. "The driver parked it, and when he got back, it was gone," says Lt. Rickey Morgan of the Geneva police. Meat inspected by USDA is shipped with a special locking tag on the back of the truck, Morgan says. "You'll have folks that ride around truck stops, they'll see the tag and they know it's some type of meat product. It may be hamburger, it may be steaks, they don't know, but they know it's a high-dollar load," he says. Geneva police traced "eight or nine pallets" containing 20-pound packages of ground meat to a local store that sells discount foods, "a bent-can store" as Morgan describes it. Each package had a serial number and the insurer had photographs of all of them, so they were able to identify the meat. It was recovered and then destroyed because it was impossible to know whether it had been contaminated during its sojourn.